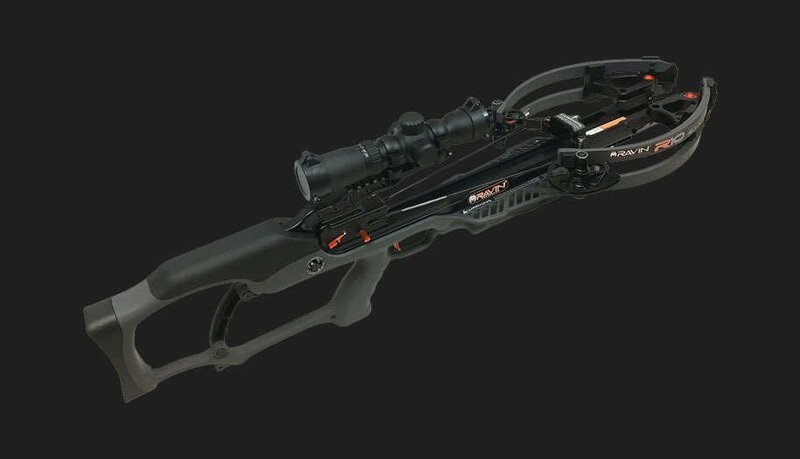 Designed by serious hunters for serious hunters, the Ravin R9 Crossbow is an entirely new breed of crossbows that has shattered the mold. 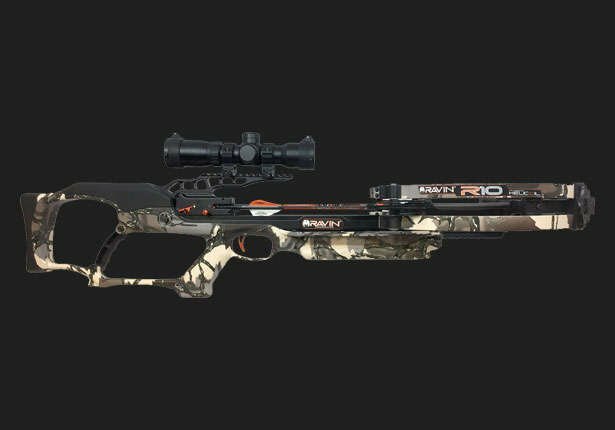 Equipped with and integrated cocking mechanism, the Ravin R9 is the ONLY crossbow on the market that has the ability to be manually decocked! As far as speed, accuracy and overall size, the driving mechanism behind the Ravin advantage can be found in their HeliCoil Limb Technology. 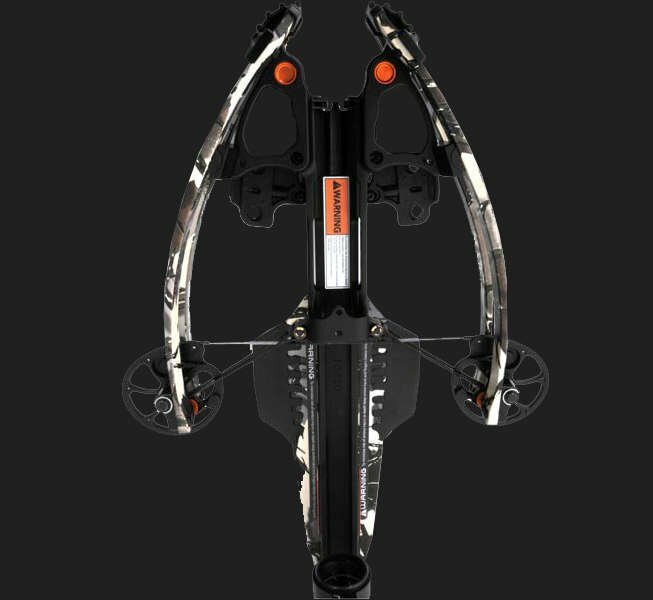 HeliCoil Limb Technology allows the R9 Crossbow to send bolts down range at a blistering 390FPS all while coiling the cables away from the top and bottom of the cams in helical grooves for perfect balance and cam rotation of 340 degrees without tilting off-level. As far as size, when cocked, the Ravin R9 shrinks down to an amazing 6" width from axle-to-axle - a feature that tree-stand, ground blind and stalk hunters love. 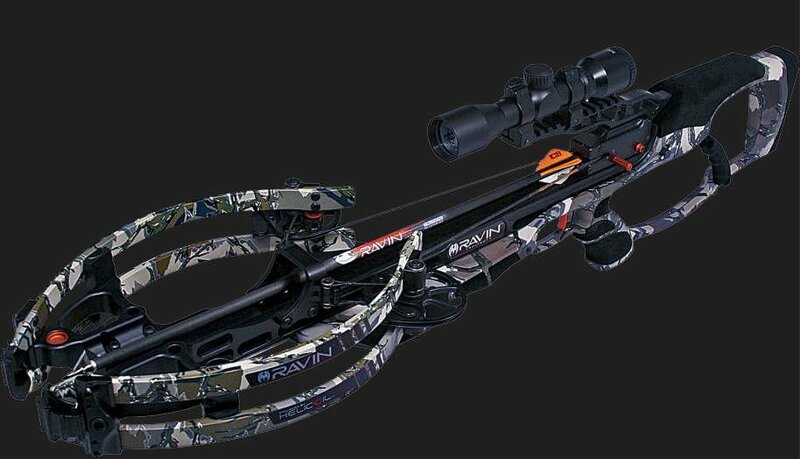 The Ravin R10 Crossbow is all-new for 2018 offering two color pattern - Predator Camo and Gunmetal. Incorporating all of the great features that put Ravin on the map, the R10 has actually found a way to be physically smaller, lighter and even faster than the original entry level Ravin. In the hunter's world, being more efficient and less detectable is the difference between tag soup and a trophy of a lifetime. The R10 has been shrunk down to an amazing overall length of just 33" while still maintaining an ultra slim axle-to-axle of just 6" when cocked. Not only that, but it also tips the scales at just a mere 6.8 lbs. Talk about maneuverability! Did we mention it slings bolts at a blistering 400 FPS?